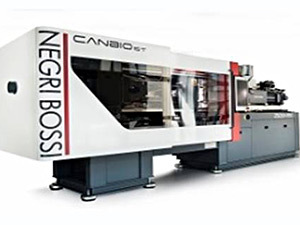 Inoplas is very excited to announce that we have ordered a new 180 tonne moulding machine from Negri Bossi. When it is delivered in April we believe that this will be one of the largest moulding machines in Dorset with the capability of moulding single components up to 400 grammes in a single shot. It will also enable us to produce multiple versions of parts at the same time which can be very efficient for higher volume production. Our specialism is in overmoulding and we have an existing fleet of very busy machines ranging from 15 to 130 tonnes engaged in both general moulding and technical overmoulding. We have become increasingly aware that our customers are generating a range of new requirements which whilst including smaller technical components also covers larger parts which historically we couldn’t produce here. Customers also have a decreasing desire to engage with the costs and stresses of managing an overseas supply chain and paying to import a lot of air with their larger components. Negri Bossi have worked closely with us in the specification of the machine and will be involved in the installation and training of our team once the machine is complete. This is an exciting time for Inoplas with growing staff numbers and high levels of investment in equipment and skills. Many of our customers are local businesses but we have customers all over the world and export daily to the Far East, Europe and the USA. We look forward to discussing our ability to take your project from design to efficient fruition – even if it is for the size of part you couldn’t previously source locally.